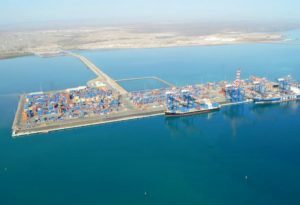 DP World continues the struggle to protect its rights in the dispute with the Djibuti government over the Doraleh Container Terminal. Last Thursday, the London Court of International Arbitration held that Djibouti did not have sovereignty over a contract governed by English law. The Court has also established that, in the absence of an express term to that effect, an English law contract cannot be unilaterally terminated at will. Therefore, the concession contract awarded to DP World by the Djibuti government in 2006 remains in full force and effect. As we wrote earlier, the concession contract was terminated by Presidential Decree dated 22 February 2018 and all the assets of Doraleh Container Terminal were expropriated by the state of Djibuti. On the next day, DP World announced that the Government of Djibouti illegally had seized control of the terminal and that the company commenced arbitration proceedings in London. Now the London Court ruled that the Djibouti government’s seizure of control of Doraleh Container Terminal from DP World was illegal. However, last Friday, the Djibouti government stated that it did not accept the verdict. According to the statement which was made by DP World on Saturday and published by Gulf News, by refusing to acknowledge the Court’s decision the Djibouti government does not “recognize the international rule of law”. “The Court’s decision upholding the continuing validity of the Concession is based on recognised principles of international law and is internationally binding both on the Djibouti government and so far as third parties are concerned”, DP World’s statement said. DP World will now reflect on the ruling and review its options.